We believe that AI has the potential for transformative, positive impact in the world. Fulfilling this potential is not only dependent on the quality of the algorithms being engineered and the data they use, but on the level of public engagement, transparency, and ethical discussion that takes place around them. 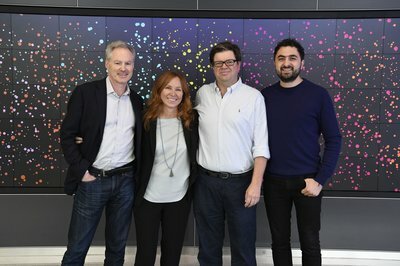 The group - named the Partnership on Artificial Intelligence to Benefit People and Society - is a significant step forward, breaking down barriers between AI teams across leading companies to address some of the really difficult questions that are arising within the field. We also want to make it easier for those in other fields to understand, assess and engage with our scientific breakthroughs and consider the broader social and ethical impacts of our applications. By opening up the conversation about AI to a wider community, we hope to build new models of engagement, collaboration, and accountability to take the field forward in a thoughtful, positive and ethical way that benefits people and society. To find out more about the Partnership on Artificial Intelligence, visit the official website here.